F1 and dirt track racing couldn’t be racing worlds that are further apart. But, Tony Stewart bridges gaps anywhere he goes. NASCAR champion Tony Stewart is the co-owner of Stewart-Haas Racing, the pavement oval racing outfit. The team is also owned by machining giant Gene Haas. The NASCAR team complex sits side by side with the American base for the Haas F1 Team. Stewart himself does not own the F1 team. He has is own side project though, the Tony Stewart Racing team. “Racing in America, it’s in the blood. NASCAR, Indycar, it’s a long history. At Haas F1, I want out drivers to have that same American passion,” says Haas F1 team manger Gunther Steiner. TSR fields full blown dirt sprint cars at a variety of events. Tony Stewart himself has 90 races planned for 2019. Donny Schatz has won the World of Outlaws Sprint Car Series championship for the last million years in a row. 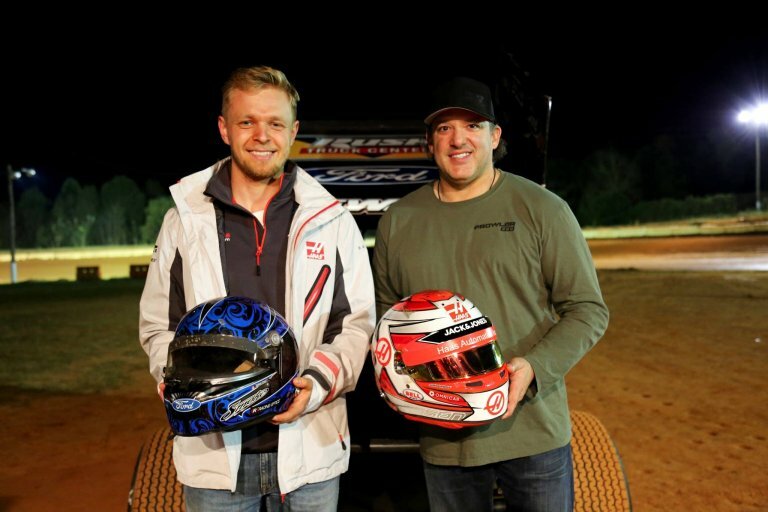 Ahead of the race at Circuit of the Americas in Austin, Texas, Haas F1 driver Keven Magnussen visited the American base in Kannapolis, NC. “This kind of team works for me. Some teams go racing with money. 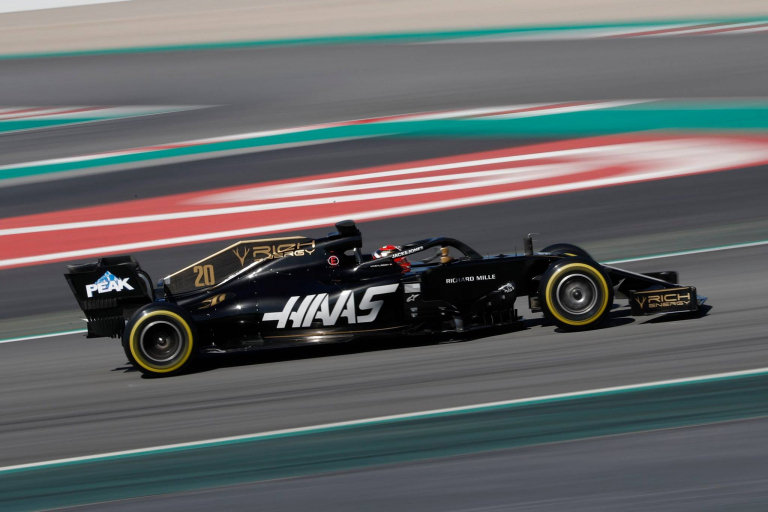 Other F1 teams go racing with their heart,” says Haas F1 driver Kevin Magnussen. Tony Stewart loaded up his #14 dirt sprint car and ventured to Carolina Speedway. The track sits on the other side of Charlotte from the Haas F1 Team. The Gastonia, North Carolina dirt track is a fast 4/10 mile dirt oval. Humpy Wheeler first opened the track in 1961. 14.784 is the Super Late Model track record, held by Chris Ferguson. With that said, a rusty old tow truck gave the direct drive machine a push out of the pit area. Magnussen was off in a machine that’s backwards to everything his learned in his racing career to date. The trip to the dirt track was captured by Netflix. It can be seen in the newly released show ‘Formula One Driver to Survive’. This dirt track racing episode is from S1:E9 titled “Stars and Stripes”.